A rash of plant thefts have been happening all around Boone County recently. No need to call the police, this is a problem with Mother Nature. Curculionidae and Curculionidae are the ones who need to be rounded up and locked away. The problem is these two bandits are not in cahoots and they are even rarely seen together. Botanist Jamie Rhodes gives some tips on how to keep the plant predators at bay. There happens to be a catch to all this. Curculionidae, which are identified by their elongated nose and light brown color, are completely manageable their brethren the Curculionidae, black with large antennae, are extremely dangerous to your crops. If you spot one you are advised to consult your local exterminator and have your fields sparred to prevent further infestation. Interesting! 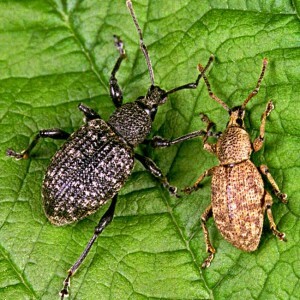 I also encounter these bugs on my garden and when i saw it some of my lovely plant was seriously damage. Thanks for some tips you shared t’was very helpful.